You can tell a lot about a hotel from its pool. 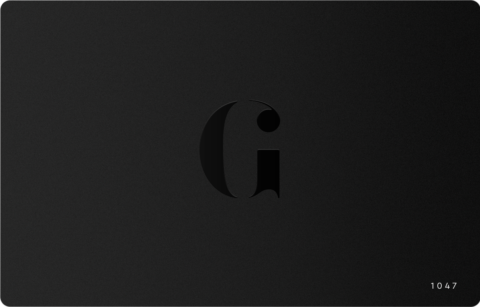 It’s like the pocket square on an otherwise conservative suit – that extra flourish, that flash of finesse, the final touch to make a statement and tell the world exactly how damn stylish you really are. While others line a hole in the ground with tiles, fill it with water and later have screaming children and lurid inflatables occupy its premises, the architects who’ve crafted the below pools (or works of art, to be more accurate) have gone above and beyond to elevate your dipping sessions to new heights. So, pull up your swim shorts (or squeeze elegantly into your Speedo’s) and behold the greatest hotel pools in existence. 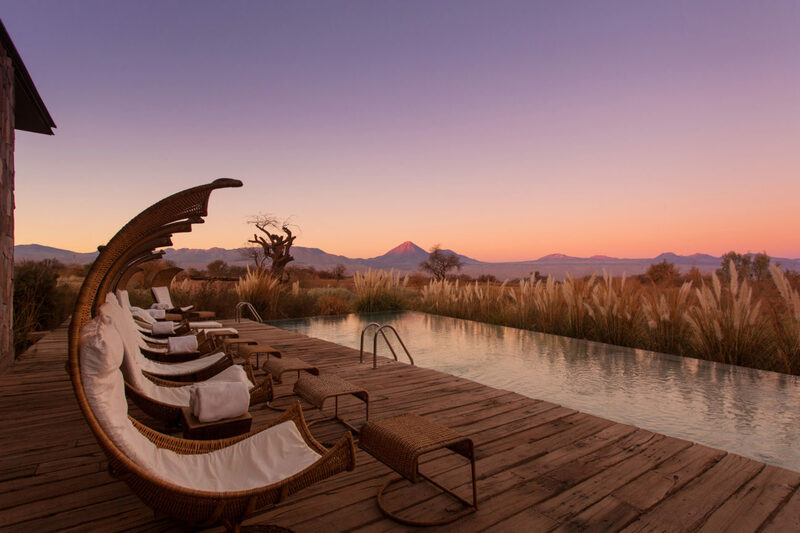 The infinity pool of this 32 room boutique hotel – and the worthy winner of the “Best Pool With A View’ category at the recent Mr & Mrs Smith awards – is flanked by reeds and looks out onto a lava-sculpted desert. In the (safe) distance there’s also a volcano-dotted horizon, which is always a strong USP in our books. Overlooking a luscious cocoa plantation, residents of the Boucan can indulge in a “tree to bar” tour, starting with selecting your own ripe cocoa pods and finishing with your own hand-crafted chocolate treat. 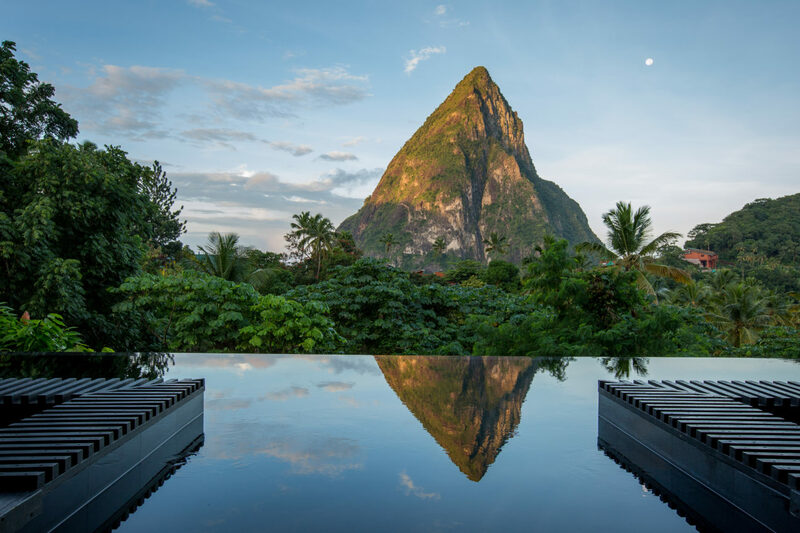 Whether you polish it off by the pool while watching the sunset over the Pitons mountains is optional (but we highly recommend it). With sweeping vistas of the Med and a large salt-water infinity pool flanked, you’ll be guaranteed that your Instagram opps here will be far stronger than that time you accosted Jeremy Renner for a snap at Heathrow Airport. Moreover, because it’s just a few miles down the coast from the bustle of Nice, it’s the perfect peaceful hideaway. 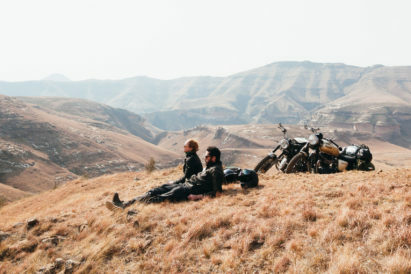 What beats sitting in a dusty Jeep and traversing almost non-existent roads in pursuit of the planet’s greatest beasts? 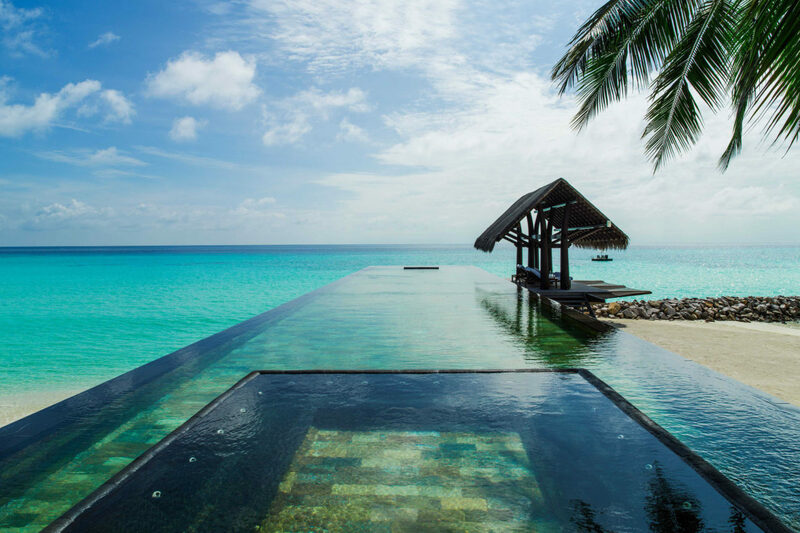 The answer: laying-back in a stunning infinity pool and letting nature come to you. 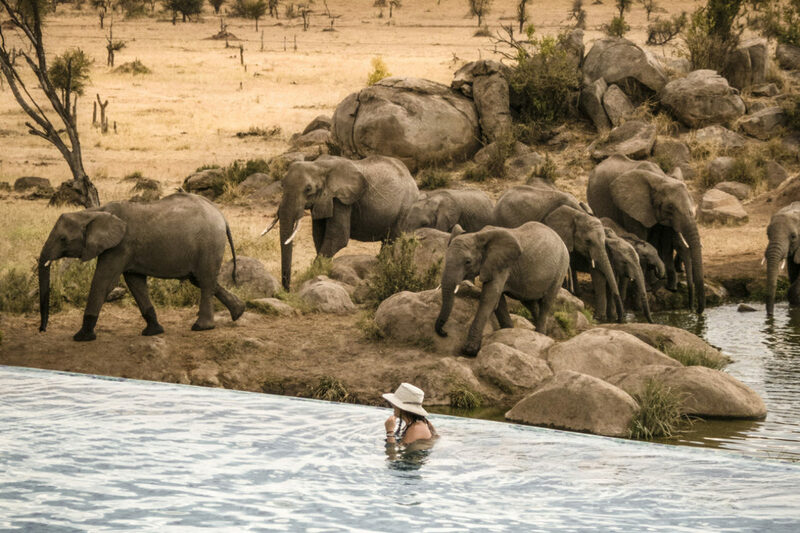 Situated deep with the Serengeti, Africa’s finest game reserve, there’s no better way to embrace the great outdoors and still have access to a luxury spa. 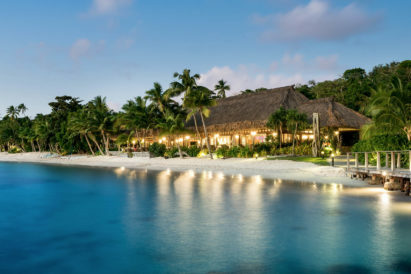 There might be a choice of twelve immaculate beaches on this private-island hotel, but don’t miss out on the pool. At 30 meters long it extends out into the lagoon and is perfect for early morning laps, or – more realistically – sitting in the internal jacuzzi with a Moscow Mule in hand. If, like us, you’re an almost weirdly big fan of the 1996 crime thriller Broken Arrow, you may recognise this hotel as a backdrop for John Travolta’s nuclear weapon tomfoolery. 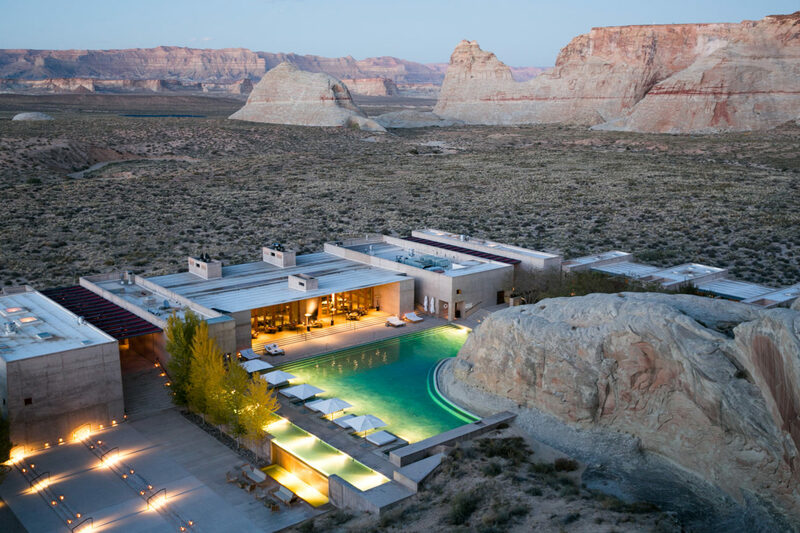 Even if you’re not, there’s still plenty of good reasons to stay at the Amangiri, not least the heated pool that curves round the sandstone rock of the Utah desert. 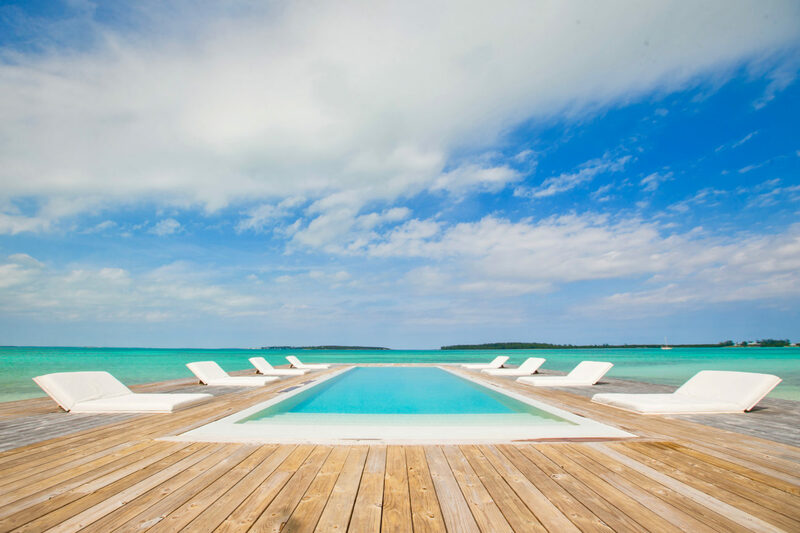 A beachside boutique stay, where the pool leans out over turquoise waters at the tip of a wooden jetty. It’s pretty eco-conscious too: rather than pumping fresh water from inland, the pool is filled filtered H2O straight from the ocean. Oh, and pets stay gratis – what more could you want? 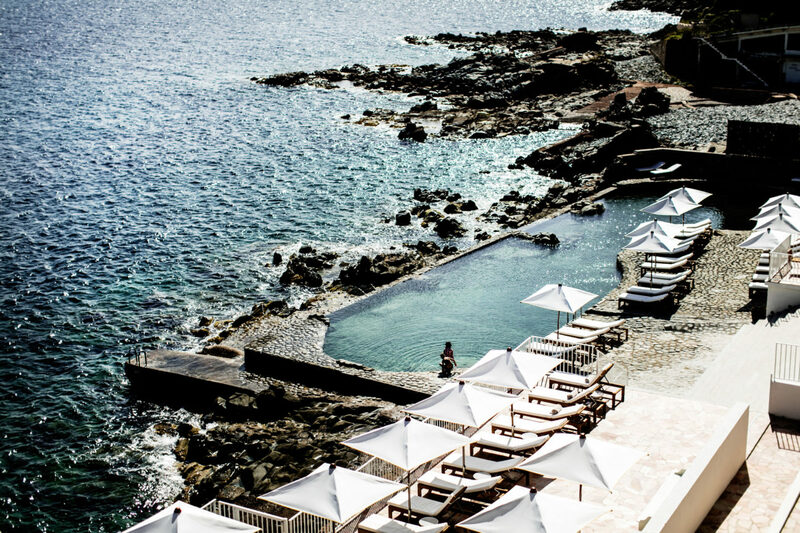 The one thing better than an incredible pool hotel: three of them, right on top of each other. 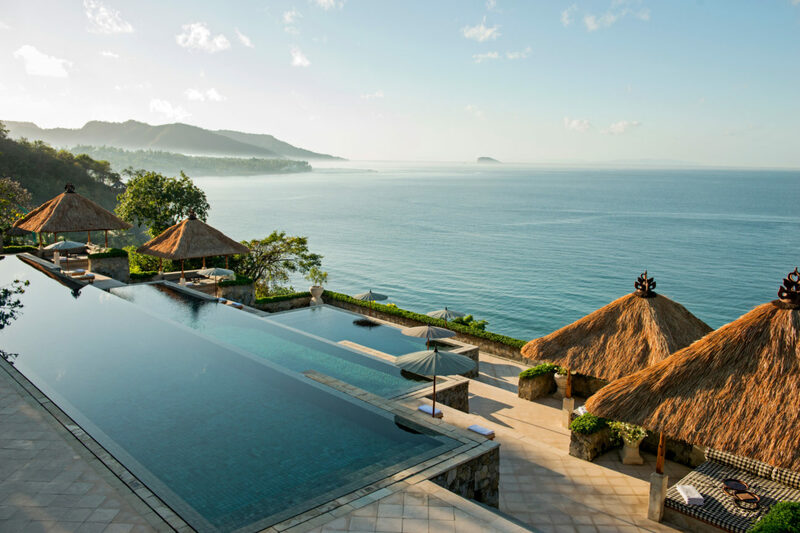 The triple-tiered swimming pool at the Amankila is something to write home about, that’s if you want to make your friends and family insanely jealous. However, spare sharing the pictures of your luxury freestanding beach hut if you want your loved ones to speak to you again. This art nouveau landmark, next to Villa Carlotta’s famed gardens on Lake Como, is steeped in history. 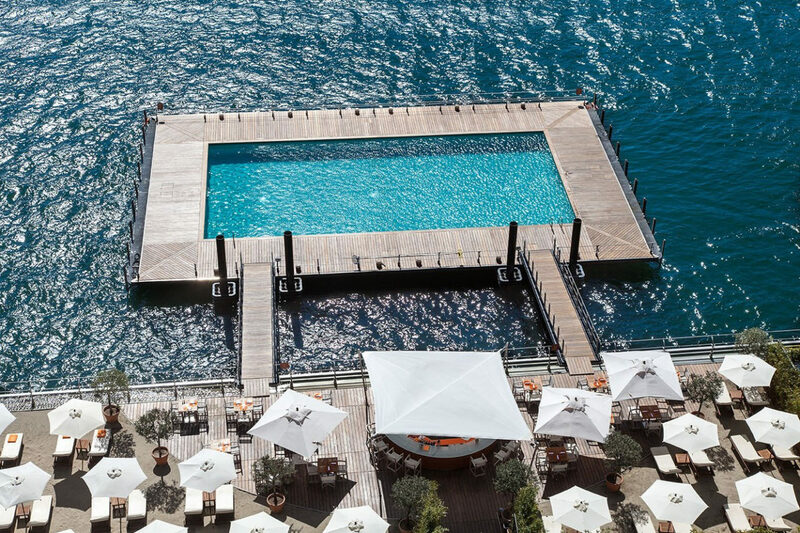 Greta Garbo refers to Tremezzo as that happy, sunny place in the 1932 film Grand Hotel – something to remember when you pull off a perfect tucked dive in the deep end of the hotel’s floating pool. 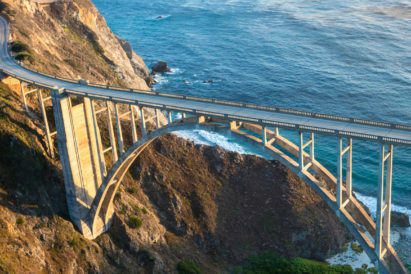 We cannot think of a better time of year to hop on a plane bound for warmer climes, and these far-flung destinations promise to banish your winter blues.